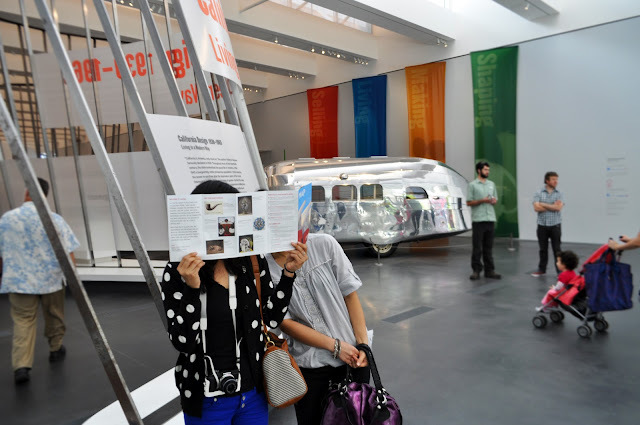 Junette and I went to LACMA for a lesson in California Design. 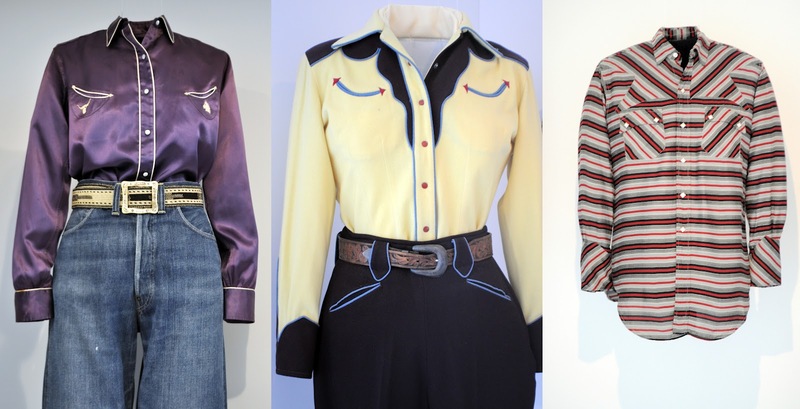 To summarize I would say that the Californian aesthetic from the 30s-60s was high craft, experimental but still practical, and spawned from a sincere love of life. Oh chairs how you make me want to sit right down. The exaggerated lines and sculptural shapes feel almost like armature. From the look of the worn leather and wood stains, these chairs have lived a prolific life. I'd love to hear their stories about where they've been and who they've met. 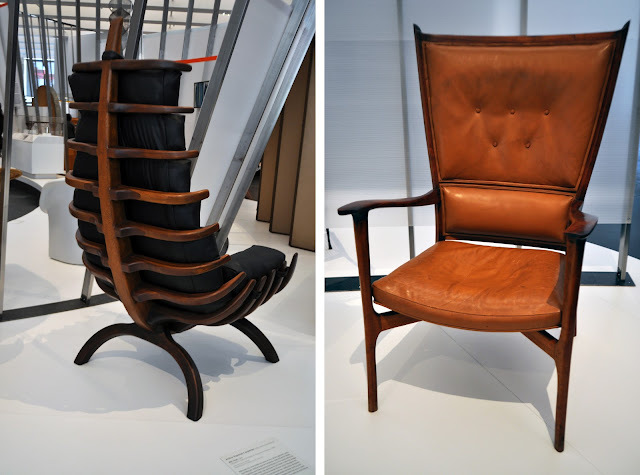 On the left is Arthur Espenet Carpenter's Rib Chair, 1968 and on the right is John Kapel's walnut and leather chair, 1958.